THOMAS Broich and Jamie Maclaren will say goodbye to Brisbane Roar this week, but veteran goalkeeper Michael Theo has signed a new one-year deal with the three-time A-League champions. While Theo won't play in Brisbane's season-ending AFC Champions League clash against Ulsan Hyundai on Wednesday night because of a knee injury, the 36-year-old gloveman will return in Roar colours for the club's 2017-18 campaign. Theo's new deal will extend his Roar stay to an eighth season after he moved to Brisbane in 2010 following a forgettable stint with English club Norwich City. The five-time A-League title winner will face stiff opposition from Jamie Young, who has another year of his current deal to run, for the first-choice keeper's spot. The Roar hope former Greek international defender Avraam Papadopoulos and teenage midfielder Joe Caletti join Theo in re-committing to the club. 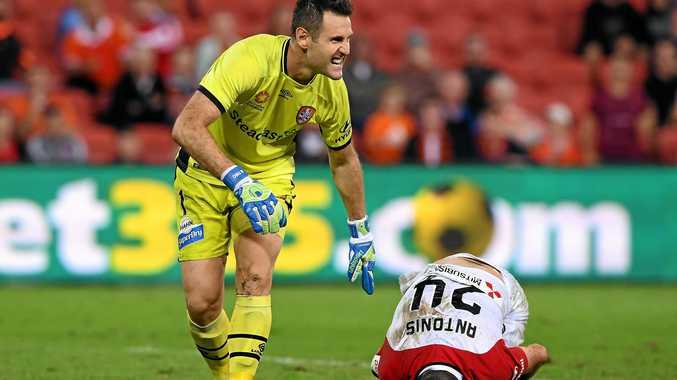 Both have been offered new deals, with the Roar confident of retaining both players. It's also understood that midfielder Jacob Pepper will sign a new Brisbane contract. Spanish import Manuel Arana will have clean-out surgery on his ankle on Thursday, with a decision to be made soon after on whether he remains a Roar player next season. Joining club legend Broich and star striker Maclaren in leaving the club is young attacker Joey Katebian. The 21-year-old forward, who joined the Roar from Melbourne Victory, played just 29 minutes of A-League football in his only season with Brisbane. He won't feature on Wednesday, having already departed the club. The Roar have started their search for a striker next season to replace the prolific Maclaren, who is set to head to Europe. 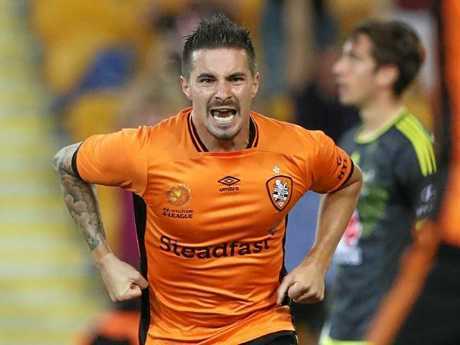 Roar officials have promoted Wednesday night as the chance for supporters to say goodbye to 36-year-old Broich, who hopes to continue his career elsewhere after failing to be guaranteed a new contract by Brisbane coach John Aloisi. Aloisi's new Roar coaching contract will be finalised this week, with an announcement expected in time for the club's presentation night on Saturday.